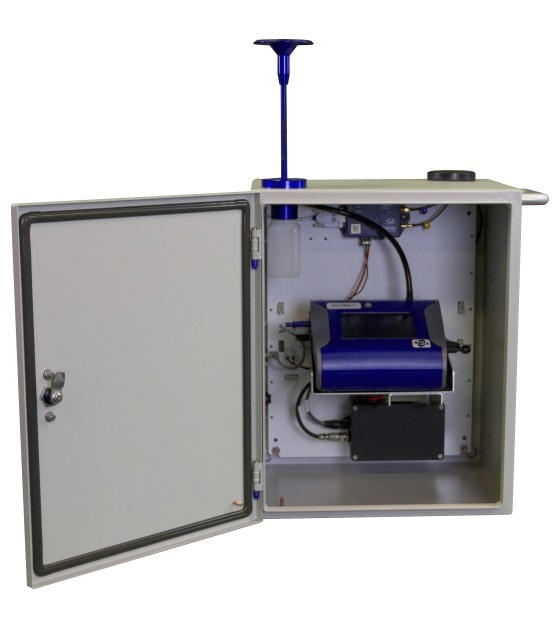 Built upon proven DustTrak™ technology that thousands of people use every day, the TSI 8537 DustTrak Environmental Enclosure is a pole-mounted, weatherproof enclosure custom built to house DustTrak units for long-term, outdoor monitoring. 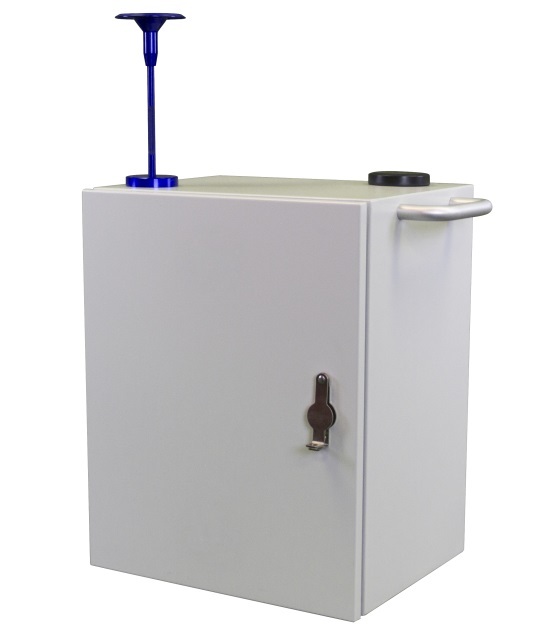 8537	8537 NEMA 3R Rated Pole-Mounted Environmental Enclosure. 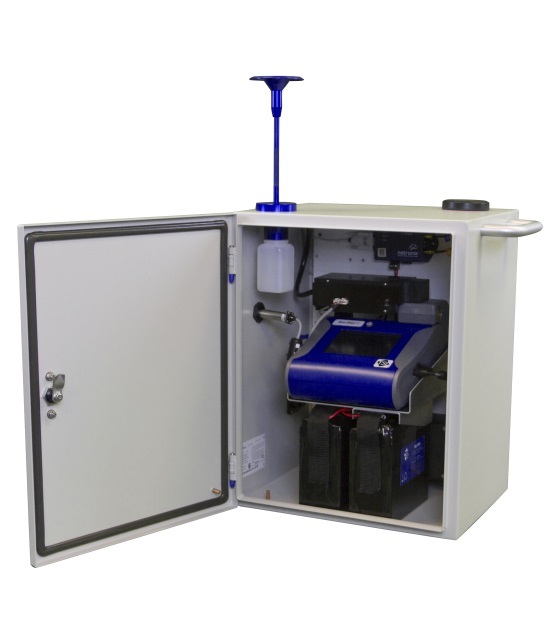 Includes: 360 degree omni-directional sampling inlet with extended rain cap, water trap bottle, internal equipment bracket with Velcro straps, dust caps, sampling tubing, plugs, o-rings, weatherproof AC/DC power supply. 8537 Pole Mounting Kit. Includes straps for mounting to 4-6" (10-15 cm) pole. 801833	Node power connection cable and USB communication cable. 801807	Environmental Enclosure Internal Battery System (Replaces P/N 801801). Includes: (2x) 22Ah 12V batteries (P/N 801808); Battery Charger (P/N 801809). 801817	Dual Battery Wiring Harness. Enables parallel connection of two 22Ah battery packs to the DustTrak inside the Environmental Enclosure. 801808	Replacement Single 22 Ah Battery Pack. Replaces Part #801802. 801809	Replacement Battery Charger. Replaces part # 801803. 801812	Replacement solar panel for Solar Power System. 801813	Replacement charger controller for Solar Power System. 801814	Replacement battery for Solar Power System. 801840	Replacement DC power cable (Enclosure to Solar Power System). Length 10 ft (3 m). 801506	Environmental Enclosure respirable sampling inlet with Dorr-Oliver 10mm nylon cyclone. 801831	8537 Environmental Enclosure spare parts kit. Includes: water trap bottle, Velcro straps, conductive tubing, connection fitting, O-rings. 802910	Environet monthly data plan (includes activation fee and 3 months of data access). After 3 months, renews monthly. Hibernation is not allowed during first three months plan. 802919	Monthly Hibernation fee. Monthly fee for hibernating a node. The data plan will be extended for the number of months hibernated. Hibernation is not available during first 3 months of 3-month plan.